In India, people wait for last date of February because on this day finance minister of India presents annual budget of the government. This budget is required to be approved by Parliament. Why do people wait for Government Budget? People wait to know about future programmes and policies for the development of the countries. Government budget contains the details of past performance as well as future programmes and policies for the next year. Budget is a statement which is prepared with expected receipt and expected expenditures during a financial year. After analyzing, we can say that people are interested only to know about expected expenditures and receipts in next year. Revenue budget and Capital Budget are two components of Government Budget. Revenue Budget is known as Revenue account and Capital Budget is known as Capital account. Revenue account is debited with revenue expenditures and credited with revenue receipts. Capital account is debited with capital expenditures and credited with Capital Receipts. Government Budget can be looked from different angle. It can be divided into two parts which are Budget Receipts and Budget expenditures. A.Revenue receipts do not create liabilities for the government. B.Revenue receipts do not reduce any asset of the government. e.g when tax is received by the government , there is no creation of liability and reduction of assets in return. Hence Tax receipt is a revenue receipt. C. Capital Receipts create liability for the government. D. Capital Receipts reduce assets of the government. Example: If government borrows from any person. Amount is to be paid back. Hence borrowing is capital receipt. If government sells its investments, assets are reduced because investment is an asset. Hence it is a capital receipt. “Disinvestment is a capital receipt for the government. Government disposes its investment held in the form of shares in public enterprises to private sector. It causes reduction in assets of the government. All expenditures of the government are divided into Revenue expenditure and Capital Expenditure. 2. These expenditures do not cause reduction in the liability. 1. These expenditures create assets for the government. 2. These expenditures cause reduction in the liability. Examples: Expenditures on land and building, Machine etc, Repayment of loan. Total government expenditure is classified in plan and non-plan expenditure also. Plan expenditure relates to five year plan and assistance of central government to state government. These include both revenue and capital expenditure. Once a project which is related with five year plan is completed, it is said that plan expenditure is over. Subsequent expenditure for the maintenance of such project is known as non-plan expenditure. 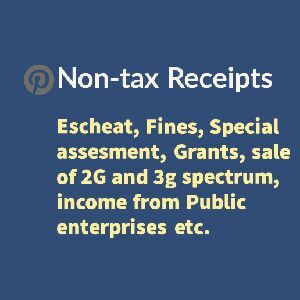 Expenditure which is not related with five year plan and not in the form of help by central to state government is known as non-plan expenditure. Budget is also classified into balanced budget and surplus budget. If government revenue is equal to the government expenditure, it is known as balanced budget. It is generally preferred when economy is stable. 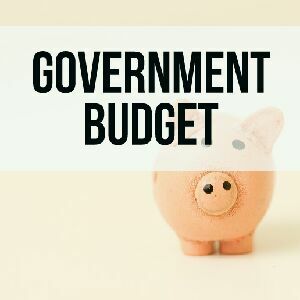 If government revenue is greater than government expenditure, it is known as surplus budget because government has revenue after writing off all expenditures. It is just like profit. It is preferred when economy is in inflationary state. Government tries to eradicate poverty with the help of budget. Programmes are planned to provide employment opportunities. Systems are created to distribute basic needs to people. The ultimate objective of Government Budget is social welfare with equal justice. This is the biggest problem of any economy. The gap between rich and poor is wide. Government with the help of tax and subsidies tries to reduce this gap. Tax is levied on rich people and subsidies are given to poorer section of society. It results in flow of money from the pocket of rich to poor person. When there is too much supply of money in the economy, inflation starts. In the situation inflation, government reduce its expenditures to reduce supply of money in the economy. Taxes are increased to soak the money from the economy. Government starts to sell its securities to the general public. Overall objective is to reduce money from economy to control inflation. Re-allocation means allocation of resources again in most useful purpose so that social and economic objectives can be achieved. Resources must be allocated in a manner to increase welfare of society by reducing gap between rich and poor etc. When Budget expenditures are greater than budget receipt, situation of budget deficit arises. Note: Borrowings are not included in total receipts. 3.Borrowing from general public in home country. Thanks for reading. Comment us if you like this post. Don't forget to subscribe us for new posts. Thanks Reader. At this time I am busy. After some time you can get new posts related with economics. Also subscribe our YouTube channel " Don't Hate Economics"